Today’s flea/tick/heartworm parasite feature article is about ticks, whose population in Toronto seems to have exploded over the past few years. 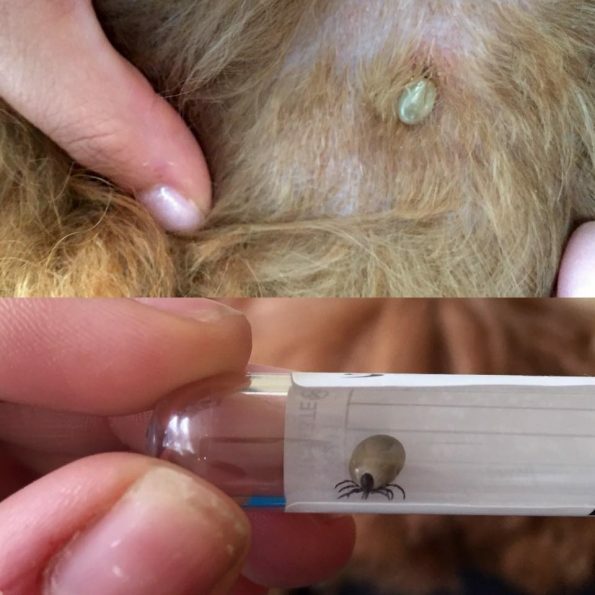 Ticks are tiny blood-sucking insects related to spiders, and are a risk for dogs, outdoor cats…and people! 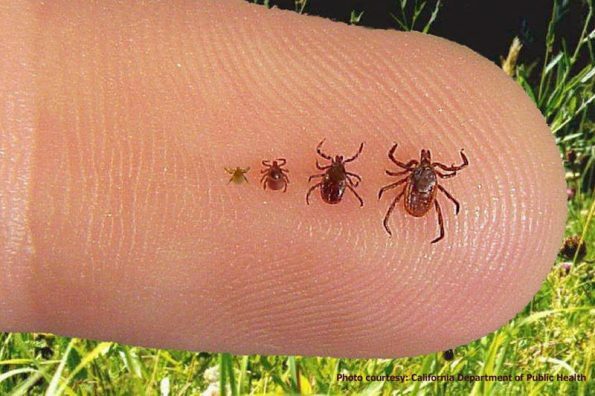 Higher risk areas for picking up ticks include High Park, Trinity Bellwoods Park, Cherry Beach, many waterfront parks, the Rouge Valley, cottage country, Kingston and the 1000 Islands – and even your own backyard, if you have long grasses! Why do we care about protecting our pets from ticks? The ‘ick factor’ alone is enough for some owners, but as veterinarians our biggest concern is disease – ticks transmit Lyme disease, as well as Ehrlichiosis and Anaplasmosis, which cause blood-clotting problems and anemia. There are now 5 species of ticks in Ontario, with the Blacklegged (Deer) Tick most well-known, since it transmits Lyme Disease. However, the recently-arrived Lone Star Tick has also gotten a lot of press since it is responsible for creating the Alpha-gal allergy in humans (also known as the red meat allergy)! Always do a thorough scan of your pet (don’t forget their ears and between their toes!) when they come in from being outdoors, especially if they have been in areas with brush and long grasses. A tick that has not yet fed can be as small as a sesame seed. Once they are engorged with blood they can grow to almost 1cm long (see the picture below). 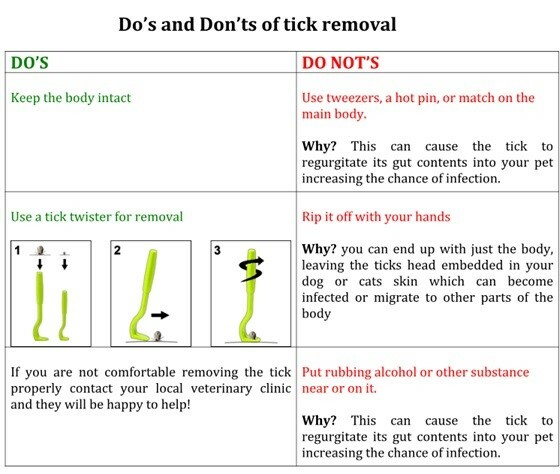 If you find a tick, remove it ASAP, before diseases can be transmitted! (Follow the instructions below, and feel free to stop in to get a tick twister from us). Some diseases are transmitted in as little as 3 hours, and Lyme Disease is transmitted within 24-48 hours of a tick attaching and feeding. We can prescribe preventative medications that will kill ticks before diseases can be transmitted. Simparica (a monthly chew) is a great choice for dogs, and Bravecto (a topical treatment that protects against ticks and fleas for 12 weeks) is great for cats. If we have seen your pet within the past year and they are up to date on their exam and vaccines, you don’t need to pay for another exam – cat owners can give us a call to order, and dog owners can take advantage of our FREE flea/tick/heartworm testing and prevention appointments.